You wouldn’t think so at first, but crafting used to be a movement – an artistic one, no less. Over the course of history, artists and people who were creative and good with their hands (which sometimes means the same thing), moved the technology of our civilization forward by providing solutions and creative crafts. This piece is dedicated to three of the finest artisans the world has ever seen. There is an island in the province of Venice, Italy, called Murano. It is the home of the best glass blowers in the world and has been one for a very long time. 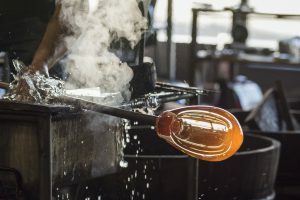 In the fifteenth century, a glass blower forever revolutionized the way glass was made by developing Calcedonio, a special type of glass combined with silver and other elements and completely transparent. The secret of this glass was lost twice to history and rediscovered again. Angelo Barovier was already destined to become a great man since he came from the family renowned for their artwork concerning glass. Because of him, glass blowers and artists all over the world can express themselves and display their craft through a new medium. There is serious debate among people better equipped with education to give a definitive answer about whether calligraphy is an art or craft. This is why I’m making a disclaimer by saying I could be wrong for considering Mi Fu an artisan. 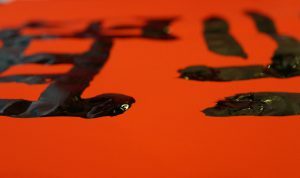 That being said, Mi Fu was a great calligrapher. He made his mark on history in China during the Song Dynasty. Mi Fu was a Bohemian before it was cool. He was a painter who loved to drink and it inspired him to do some of his best work in calligraphy, according to another great poet and calligrapher who was his friend and contemporary, Su Shi (no, not the food). Critics accused him of merely copying the style of the great calligraphers before him. To be fair, he was well equipped to execute perfect copies of old styles. Are you familiar with the ancient Japanese art/craft origami? 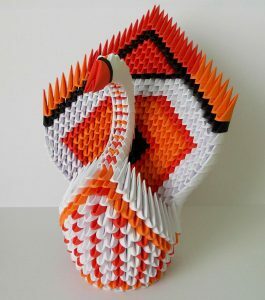 It is a skill where you can make sculptures of animals, people, and other things by just bending the paper. Because of this craft, we are gifted with boxes and envelopes, as well as solar panels and heart stents. It requires patience and attention to detail. Akira Yoshizawa is widely considered to be the ultimate origamist. Unlike the previous people on this list, he did not live in the ancient times – he died in 2005, on his 94th birthday. He has developed many new origami techniques, but the one that revolutionized the craft forever was wet-folding. As the name says, it is a technique where the paper gets dampened slightly to make it easier to bend. For this purpose, a thicker paper is used and the final sculptures look different from what you might expect when you encounter origami. For starters, they are much more recognizable.